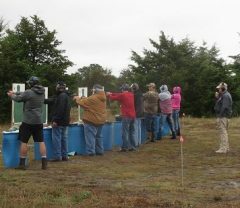 Out of the hundreds of students I have taught, there have been a few I have taught for whom shooting a handgun was a challenge. Shooting is, after all, a physical endeavor, requiring a certain level of aggressiveness and stamina. One is holding in their hands a heavy metal object that contains explosions and directs the output of same downrange. In addition, there are certain actions involved that relate to the operation of that gun, like racking the slide, or loading a magazine, that require a minimum amount of strength. Some people find those activities difficult, often because of grip strength. While many people could have these difficulties, it seems to be more of a problem for ladies, seniors, and senior ladies. Racking the slide on many semi-automatics can be very difficult, but pulling the trigger on a double-action revolver can be even worse. What to do? A common choice is to just struggle with a gun you can’t manage. That person will almost never practice, and is unlikely to ever be able to defend themselves if the need arises. An alternative is to use a gun that you can manage, but that has significant drawbacks in a defensive situation. 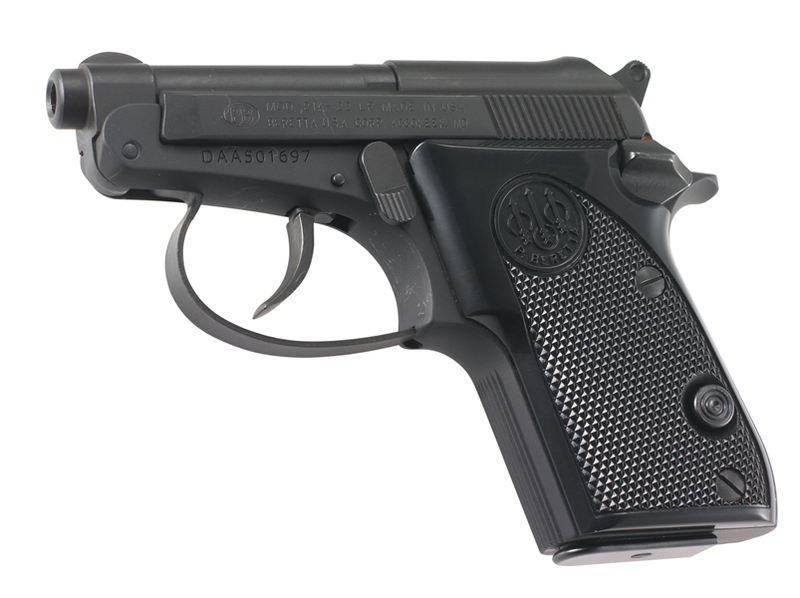 A typical example of this approach is to use a pistol chambered in .22LR. These could be either revolvers or semi-autos. While it is possible to kill someone with a .22, it would be mostly luck if you did so. Even if you cause a fatal wound, it is likely that he will not succumb for an hour or more, during which time he may kill you. If you could shoot him 8-10 times, that would likely make him change his plans, but revolvers and pocket-sized semi-autos just don’t carry enough ammo, especially if there are two home invaders. Pocket guns are also difficult to shoot accurately, due to the short barrel. 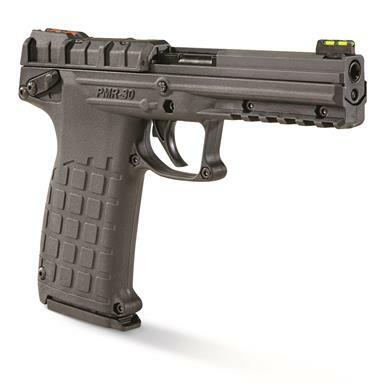 The PMR-30 is a full-sized, but lightweight, semi-auto handgun chambered in a caliber that many people have never heard of, .22 WMR (Winchester Magnum Rimfire), AKA .22 Magnum. This is a .22 caliber bullet in a much longer case, with more gunpowder, which pushes that bullet out to the target at insane rifle speeds. Nevertheless, the recoil is very mild, hardly more than a .22 target pistol. Since it holds 30 rounds in the magazine, you could put 10 shots on that intruder and still have 20 left. There is a long history of guns that fire a very small bullet very, very fast. Most handguns used for combat or law enforcement have used bullets with a diameter of approximately .35-.45 inches. In 1930, the Soviets introduced the Tokarev pistol (TT-30, later TT-33), that fired a .30 inch bullet fast enough to penetrate body armor. In recent years, the .22 TCM cartridge pushes a .22 bullet to very high speeds. It should be noted that the venerable M-16 rifle also shoots a .22 caliber bullet. In all these cases, the designers have opted to trade bullet mass for velocity. After all, the speed of the bullet has more effect on stopping power than the size of the bullet. Unlike the Tokarev, TCM, or M-16, which are very powerful center-fire cartridges, the .22 Magnum is still a rimfire cartridge. It is not as powerful as the others, but is substantially more powerful than a standard .22. In FBI ballistics tests, it has exhibited penetration of 10-11 inches, where the standard for FBI agents is 12 inches. This puts it in the same category with the .380 ACP, but with less recoil. Speed is enhanced by a longer barrel, so the PMR-30 has another advantage there, in addition to the large capacity. This pistol is arguably a bit big for concealed carry, but would be suitable for home defense or to keep in a vehicle. It is not the perfect solution to all situations, but for people who cannot get past their intimidation by recoil, or don’t have the strength to work a revolver trigger or rack a slide, this can be a solution that, while not as good as a .45, is much, much better than throwing a rock.